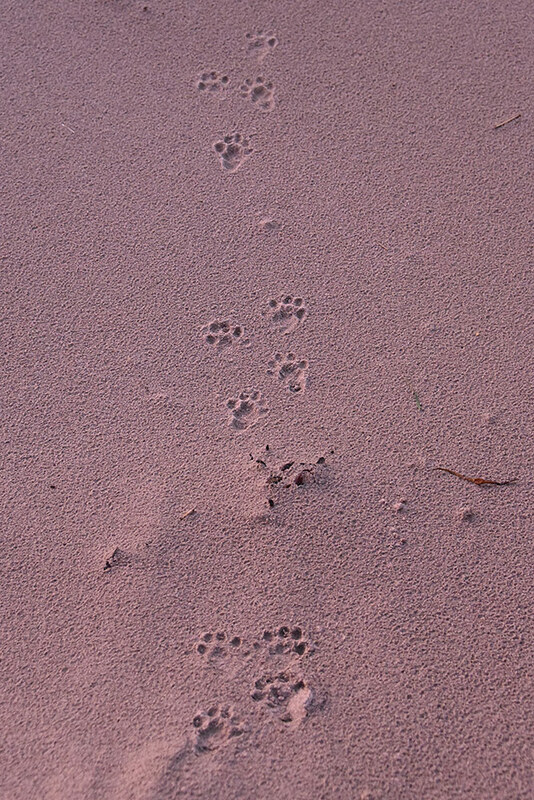 A few minutes before taking this picture I saw the Otter running across the beach in Saligo Bay, these footprints are what it left behind. This entry was posted in Beaches, Landscape, New Post, Sunset, Wildlife and tagged Islay, Otter, Rhinns of Islay, Saligo Bay by Armin Grewe. Bookmark the permalink.